1. Hover over Competitions and click 'List Competitions'. 2. 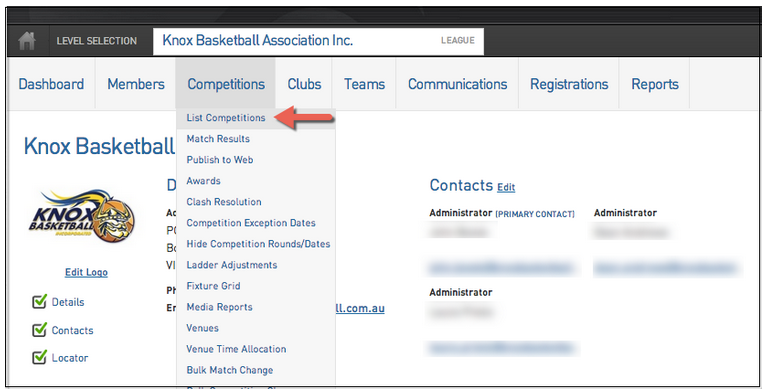 Click the magnifying glass next to the competition you want to generate the fixtures for. 3. Hover over Fixtures and then click 'Regular Season'. 4. Click 'Generate Competition Fixtures'. 5. 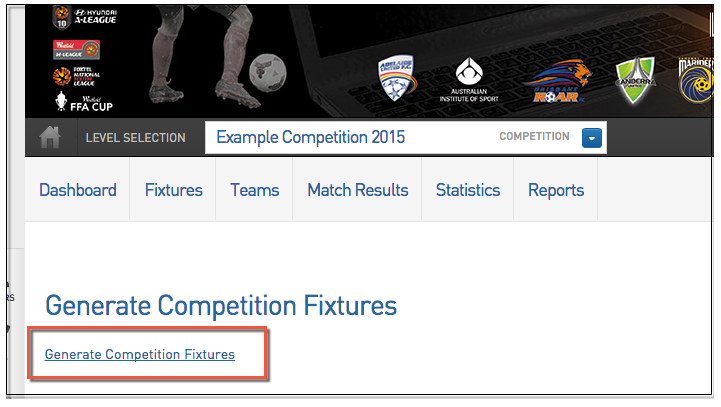 In the fixture for the competition, assign a Venue by clicking on the Venue Column for the particular match. 6. The list of option will populate based on the Teams involved in the Competition (the Venues will come from the existing Association.